San Pedro can always count on a group of cyclists pioneering the way for the sports with various activities throughout the year. On Monday April 21st, the San Pedro Cycling Club organized its 3rd annual Easter Monday Cycling Race. There were two sets of races, one in the juvenile division that consisted of cyclists 13 years and under, and the other, a combined race for the junior and senior cyclists. The first race started at Calvio’s Bike Shop at Boca del Rio and headed north of the bridge to Grand Caribe. Ten juvenile riders then made their way to the roundabout by Richie’s Supermarket before heading back to the finish line at Calvio’s. Racing in at first place was Andy Rivero, second place was claimed by Zenedine Pinelo, while DeAndre Vasquez came in third. All top three winners received trophies, while the other participants received medals for their efforts. 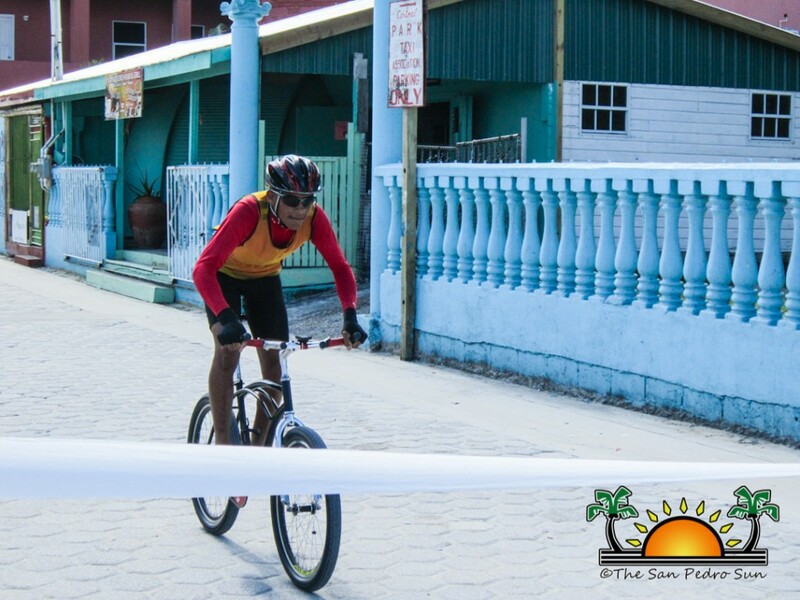 The second race of the day was a three- lap race that saw six junior and six senior cyclists beat the path from Calvio’s Bikes Shop then heading north to Belizean Shores Resort. The 12 riders sprinted along the allotted path to the roundabout and at the end of the third lap, it was Andrew Vasquez who would claim victory at Calvio’s finish line for the senior division, while Keian Ancona took the win for the juniors. Placing second in the senior division was Keith Moralez, and third was Perry Staine. They all won a trophy and cash prize. Crossing the line to come in second in the junior division was Eric Lara, followed by Byron Lara for third; all top three winners received trophies. The San Pedro Cycling Club and coordinator Kent “Bob” Gabourel would like to thank all the cyclists that participated in this event and all who came out to support the island’s riders. The San Pedro Cycling Club also extends gratitude to the San Pedro Town Board, the Traffic Department, Calvio’s Bike Shop and Roberto Canul for their assistance.